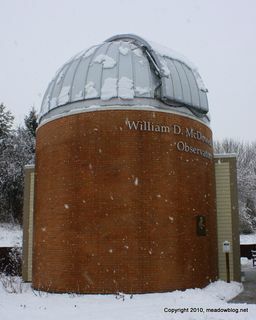 The William D. McDowell Observatory in DeKorte Park begins a new month of programming next Monday night with free public programs at 8 and 9 p.m. — weather permitting, of course. The observatory's state-of-the-art telescope has a 20-inch mirror, housed beneath a retractable dome. The telescope, one of the largest in the area, is equipped with cameras to record the stars and planets. Special filters block light pollution. For detailed information and the complete March schedule, click here. 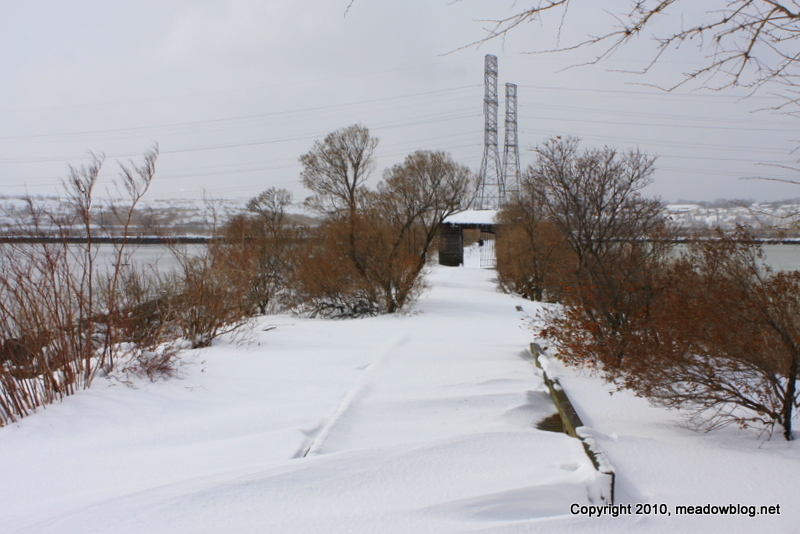 DeKorte Park is open, and some of the trails look pretty good for cross-country skiing — an occasional bare patch in some places but drifts up to 16 inches in others. Birding was quite good after lunch along the Lyndhurst Nature Reserve and the Saw Mill Trail heading out toward the Turnpike. Ducks are still big — many Canvasback, Ruddy, Bufflehead, Northern Pintail, occasional Shoveler and Gadwall. Got a glimpse of that lone female Goldeneye way out along the trail as she swam away. 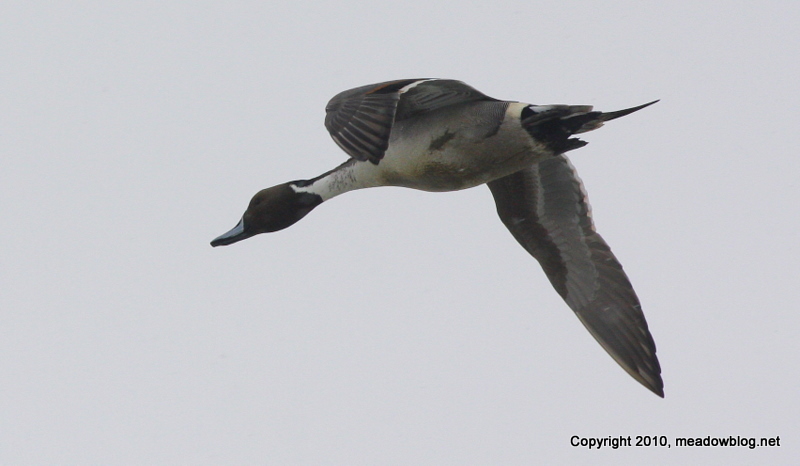 Ducks were fairly cooperative especially a male Northern Pintail who flew by (below). Did not see any Bald Eagles but did have a harrier hunting over the Lyndhurst Nature Reserve. 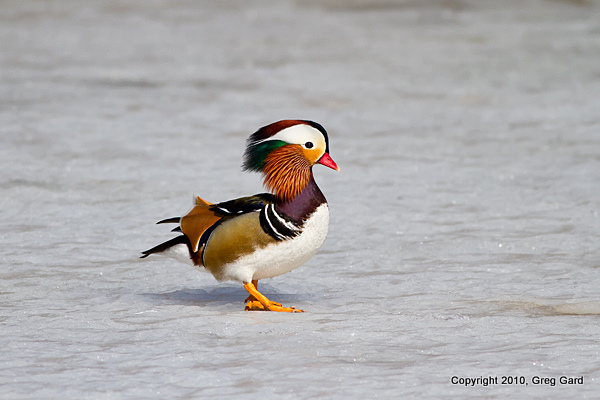 Mandarin Ducks are native to Asia and non-native here – this guy is likely either a released bird or an escapee.